THE WIZARD’S GOWN - REWOVEN. "A Special Edition of Tony Stringfellow’s acclaimed book to commemorate the 30th anniversary of Marc Bolan's untimely death and what would have been his 60th birthday. Reworked and extended with more insights including the long awaited exposure of 'Metal Guru' and an analysis of ‘Born to Boogie’." The father of glam rock, Marc Bolan, was renowned for glitter, make-up, camp clothes and performances. His music evolved from ethereal, Tolkenesque influences to stylistically original pop. He died at a time when his persona was still engulfed in the commercialisation of the pop character he had created, leaving the full enigma of his mind untold. Much has been written about Marc Bolan the ‘Glam Rock King’ but little has touched on the person below the make-up. 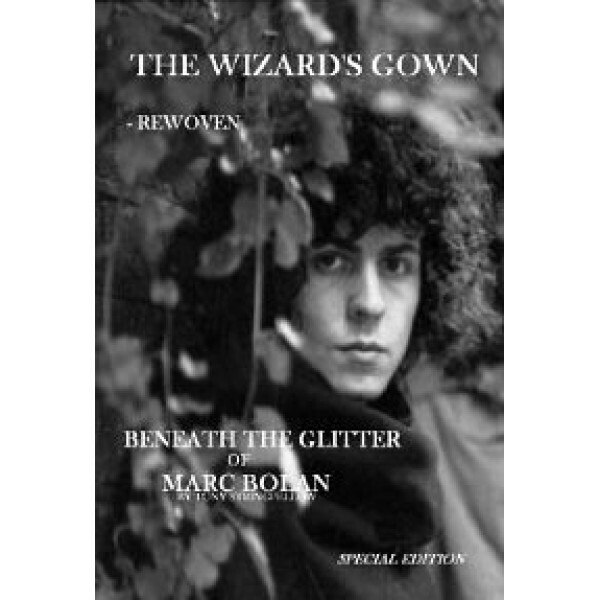 This book aims to do just that, inspired by a large selection of previously unpublished poetry of Bolan’s, reflecting his earlier works in ‘The Warlock of Love’. It endeavours to delve into the corners of Bolan’s mind that made him the charismatic, mystical icon who wrote apparently senseless lyrics and aspires to restore a depth of understanding to his words enhancing his credibility as an artist, a wordsmith and a musician. The poetry, written in Bolan’s own hand, has been aesthetically reproduced from its original form with an edited ‘translation’ of each poem giving an interpretation of what are perceived to have been Bolan’s intended words. Enigmatic imagery, with some previously unpublished photographs of Bolan, depicting the naturally ethereal aura he possessed, punctuate the pages of this all encompassing, tactile probing into the roots of Bolan’s thoughts that made him the intriguing Wizard like character who enchanted the music world with his lingual painting of mystical images. 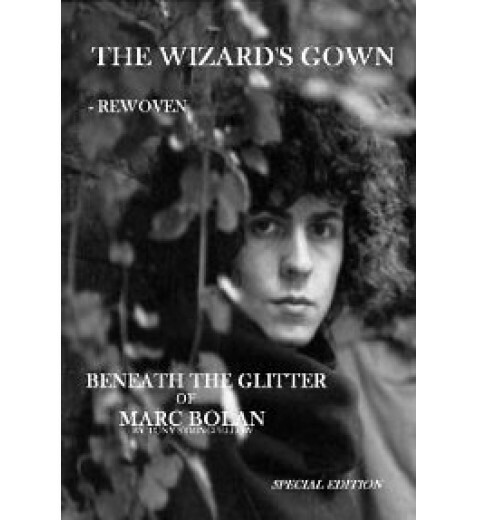 This book aspires to look into the eyes of Marc Bolan, un-glittered. Your copy can be signed by the author, please give details of any message.